Kitties in bananas? Of course! 4 1/2-inch plush dangler key chains based on the Bananya anime. 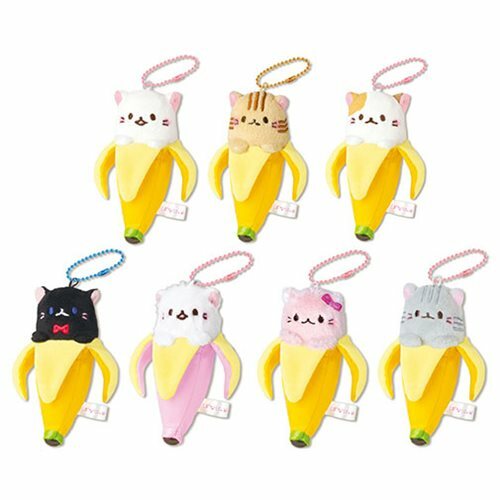 Each set includes Bananya, Tora, Mike, Kuro, Kenaga, Bananyako, and Sabatora! Living inside a banana is not for everyone, but it seems to work for these cutie pies. Plus, with the attached ball chain, the 4 1/2-inch Banaya-inspired plush can act as your key chain or as a decoration for your bag, purse, or backpack!